Children are traumatized more than adults when they’re inundated with scenes of tragedy, such as the shooting in Aurora, CO, according to a story by Shantal Parris Riley on PoughkeepsieJournal.com. It causes young children to lose perspective, said Dr. David Crenshaw, child trauma specialist and clinical director of the Children’s Home in Poughkeepsie. “In cases like this, the most important thing a parent can do is turn off the TV,” said Julie Riess, developmental psychologist and director of Wimpfheimer Nursery School at Vassar College. “These messages are not for children. They don’t have an accurate sense of time and place. For them, it might as well be happening in their own living room,” Riess said. Other tips for helping children cope with the shootings were featured in this New York Daily News story. NPR’S SCOTT SIMON INTERVIEWED TOM OLBRICH this morning. Olbrich is the disaster response coordinator at the Jefferson Center for Mental Health in Denver, Colorado. He helped people after the 1999 Columbine school shooting. One of the lessons learned from Columbine was to assure people that their responses of fear, depression, anxiety, sadness that resulted in sleeplessness, weeping, anger, impatience, or sitting and staring were perfectly normal and expected. 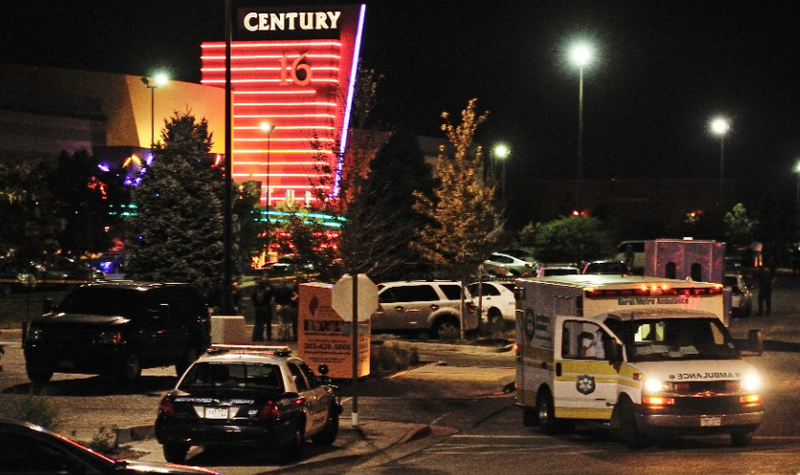 THE REACTION TO THE TRAGEDY IS RADIATING out across the community of Aurora and the U.S., according to experts quoted in this USAToday.com story by Cathy Lynn Grossman. Family, friends, co-workers, neighbors, first responders, and people whose own experience with severe trauma may be triggered by this are affected. Kathie Snell, deputy director of child and family services at Aurora Mental Health Center, said Saturday that hundreds already had called their crisis hotline, visited their 24-hour walk-in center at Viewpoint Plaza Center or sought help at schools where the center, the Red Cross and others are offering help. “The real wave of people in need of help is yet to come. Trauma is a rock thrown in the pond: It will radiate for miles and for years,” wrote Grossman. Experts quoted in the story refer to the response as a “marathon”, since some people have delayed reactions.